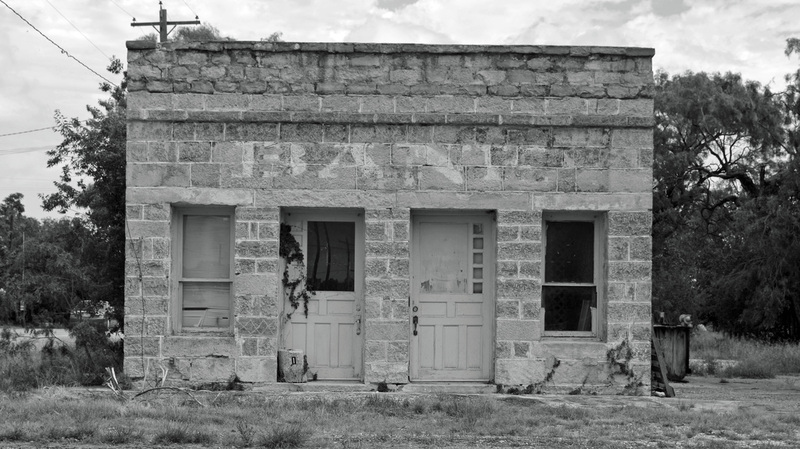 "The area of present-day Concho County was included in the Fisher-Miller Land Grant of 1842. 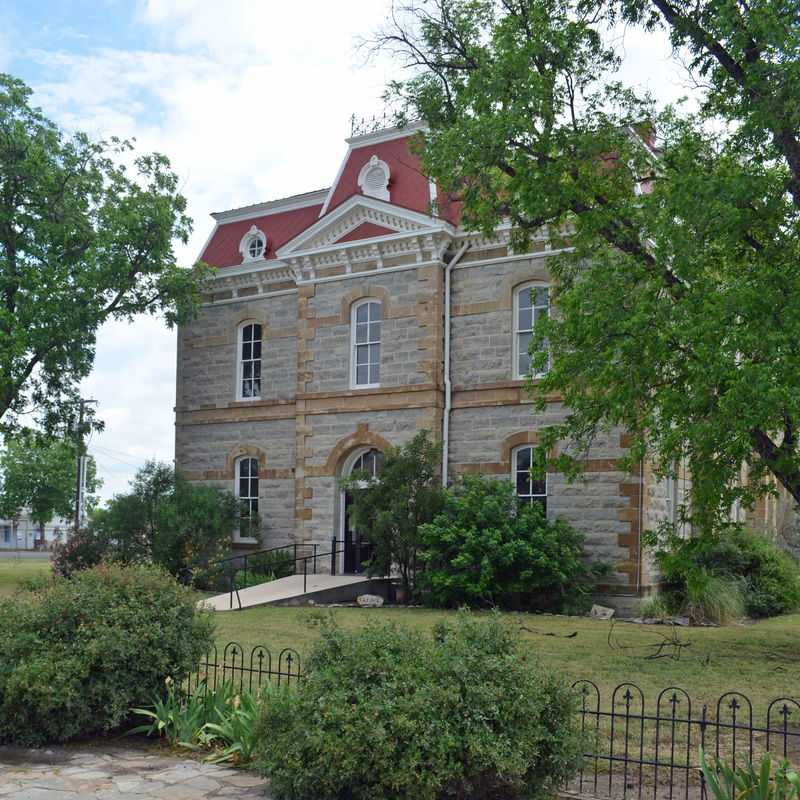 "The legislature formed Concho County out of Bexar County in 1858, but it was not organized until 1879. 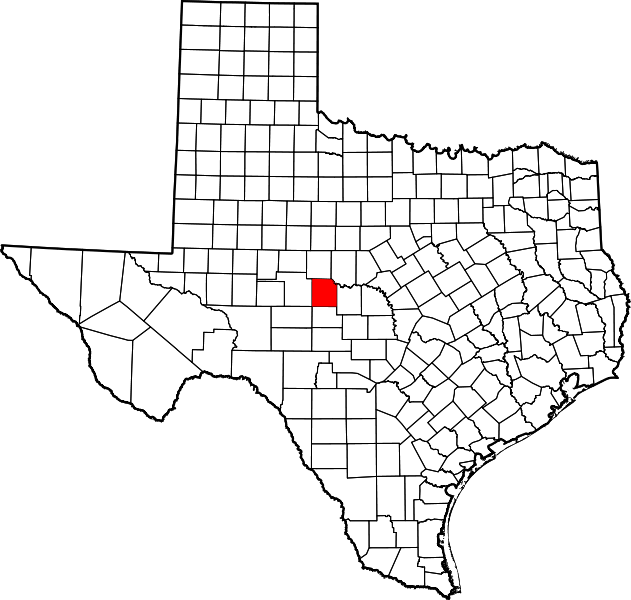 "The county derives its name from the Concho (or "Shell") River, which in turn was named for the large number of mussels found there. 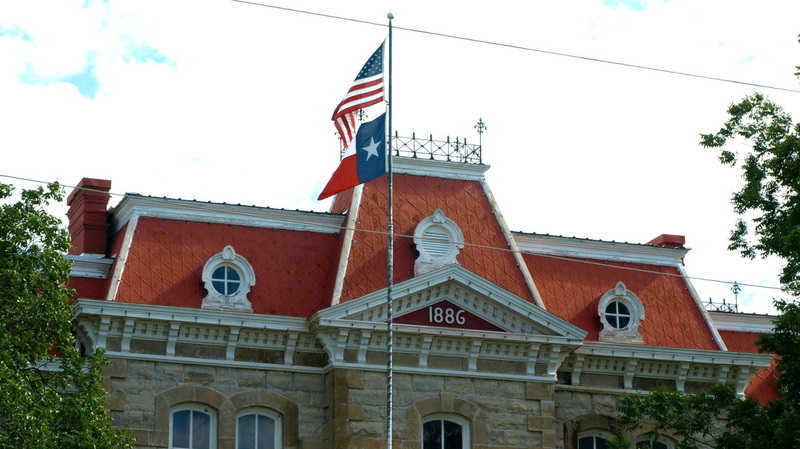 "Concho County was organized in 1879, after the required petition was signed by at least seventy-five voters. 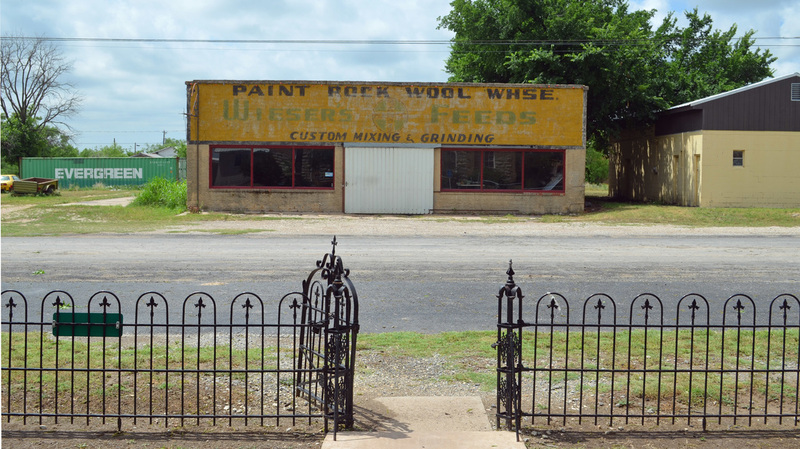 There being no established community in the county, the vote to select officers and a site for the county seat was held near Mullins Crossing on the Concho. 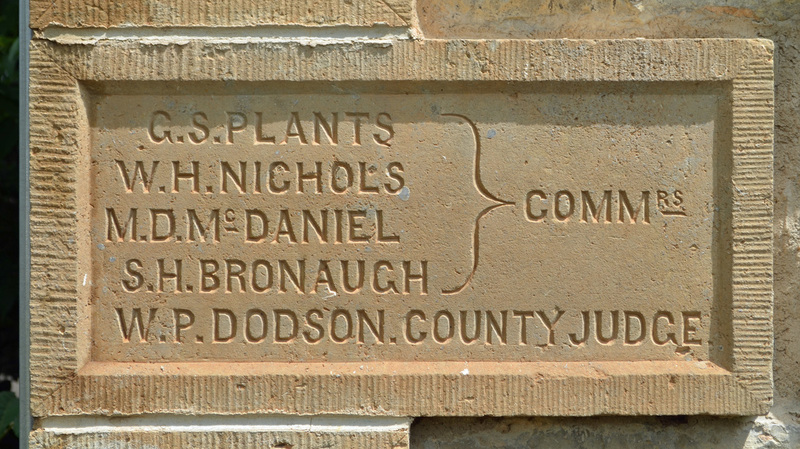 The location chosen for the county seat was at a ford on the Concho about a mile below the mouth of Kickapoo Creek, twelve miles west of the confluence of the Concho and Colorado rivers, and five miles south of the Concho-Runnels county line. 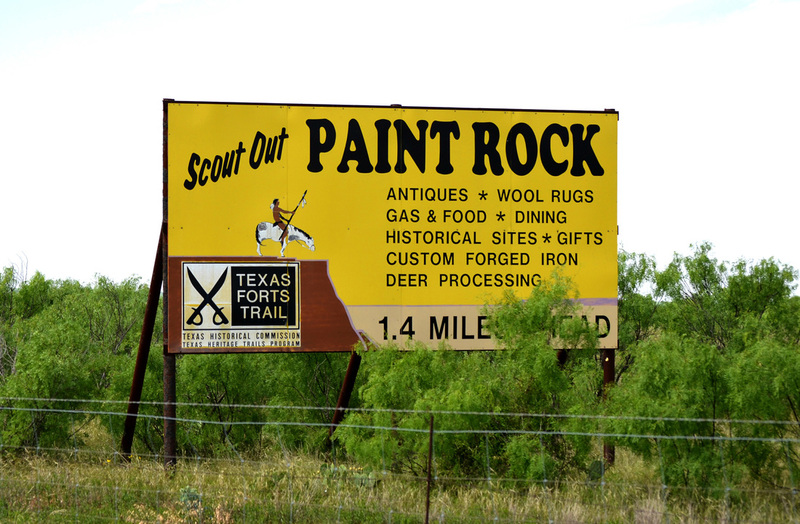 The county seat was named Paint Rock, after the nearby pictographs. 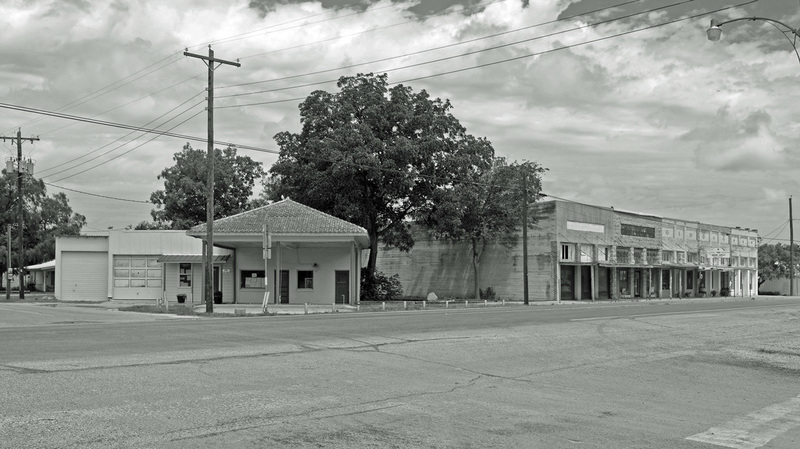 The town developed steadily. 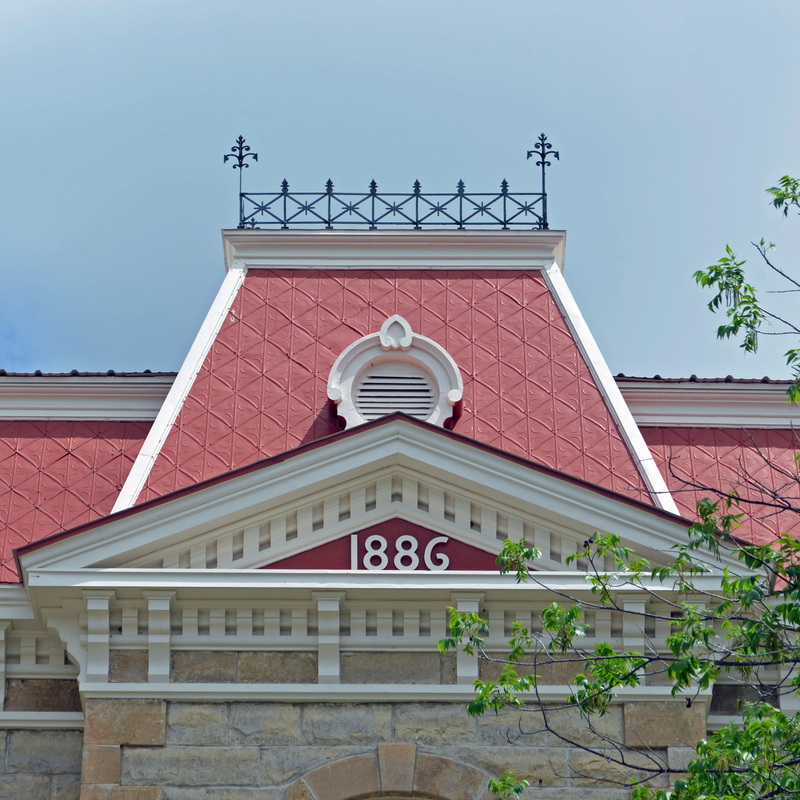 By 1884 it had an estimated population of 100. "The population grew to 320 in 2000." 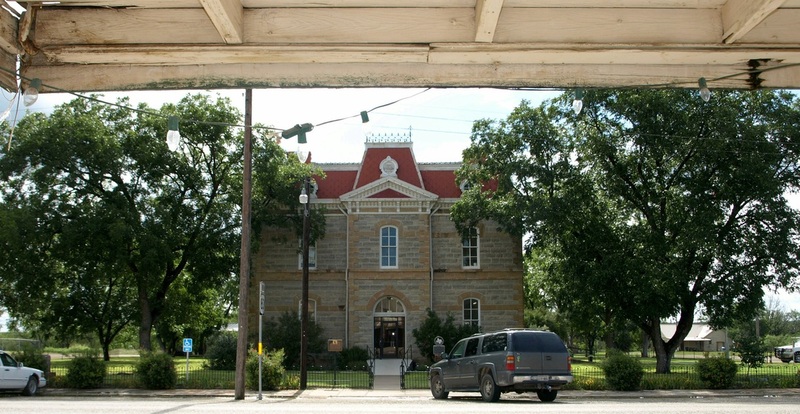 The town of Eden is the center of population in Concho County. 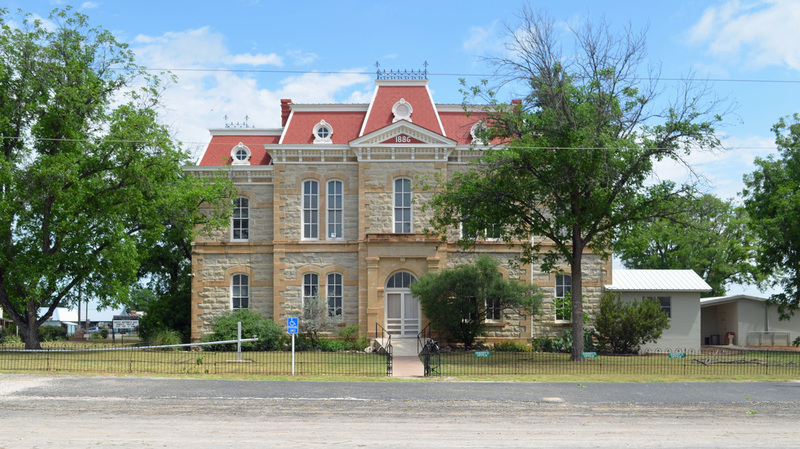 I visited Concho County and photographed the courthouse on Wednesday, July 28, 2010 and on May 10, 2015. 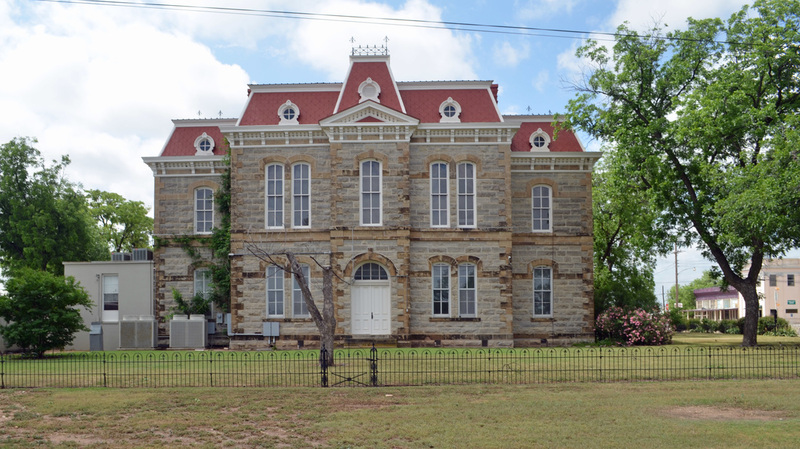 "The Concho County courthouse designed by architect, F.E. 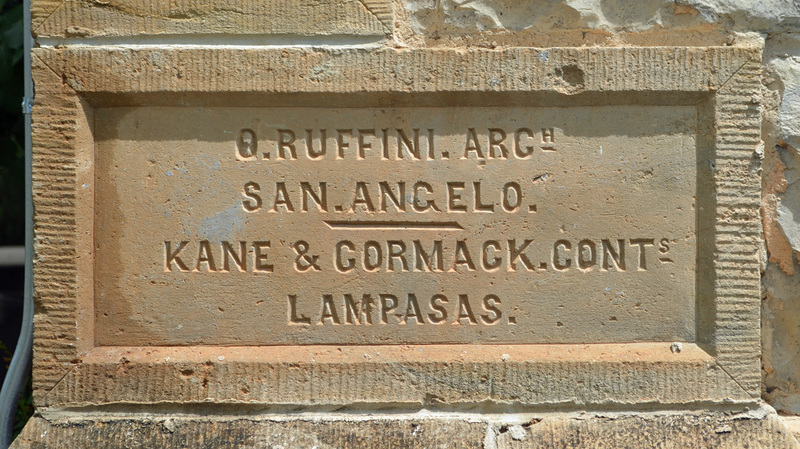 Ruffini and built in 1886 under the supervision of his brother Oscar, is a two-story structure of native stone. 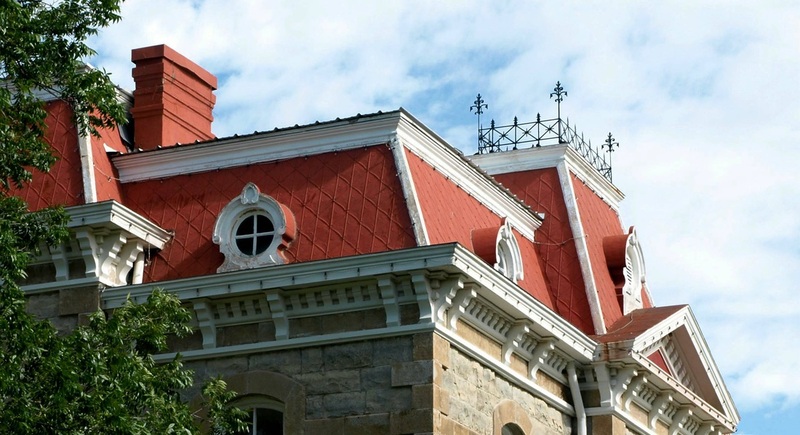 Built in the Second Empire style much favored for public buildings of the period, its dominant visual feature is its characteristic Mansard roof, treated with much greater elaboration than some of its contemporaries such as F.E. 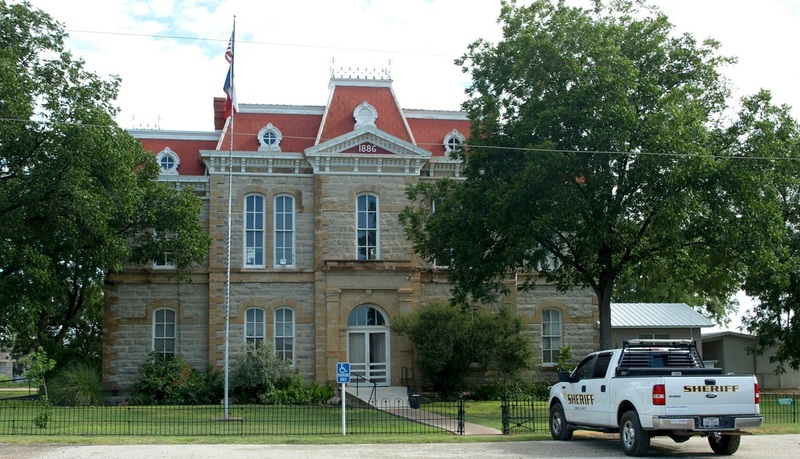 Ruffini's Blanco County Courthouse. "The courthouse is laid out on the traditional cross axial plan with wide corridors that divide the ground floor into four equal quadrants. The disposition of the interior spaces follows the massing of the outside walls. Stairways at either side of the east west hall rise simply to a graceful curve at the top. 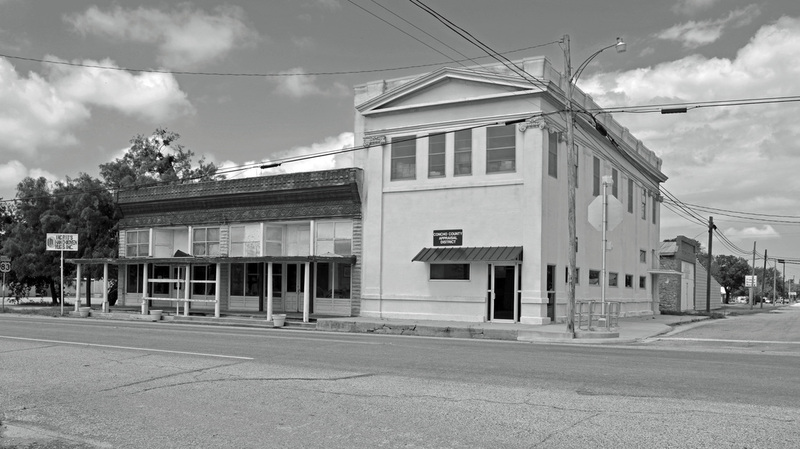 The second floor is occupied by an imposingly scaled courtroom and several jury rooms." 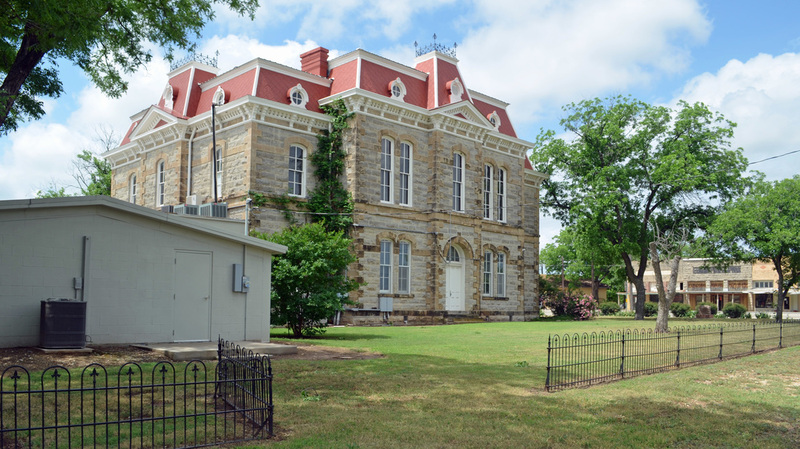 Compare it to the Sutton County courthouse in Sonora. 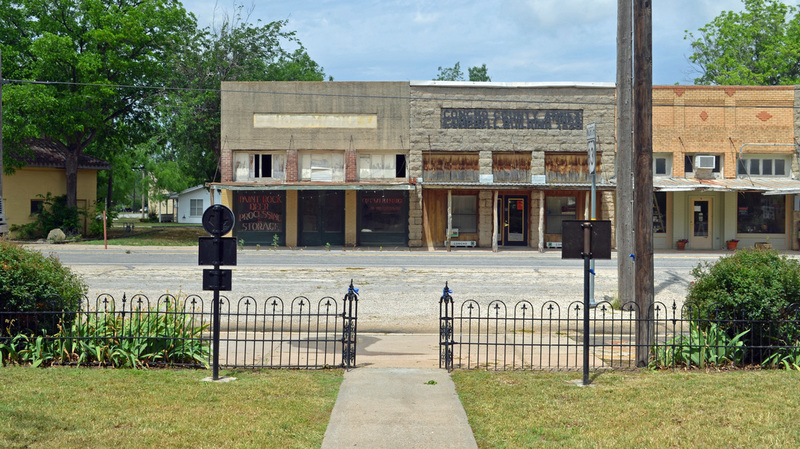 The west facade faces Main Street, US 83. The south facade is the primary entrance.